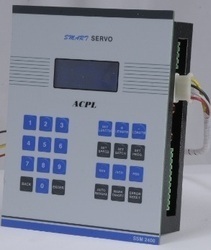 Prominent & Leading Manufacturer from Ahmedabad, we offer smart servo plc and smart servo touch controller. Owing to wide demands of our customers, we are engaged as manufacturers, exporters and suppliers of best quality Smart Servo PLC. Our offered products are manufactured by utilizing finest quality raw materials procured from trusted vendors. With the use of latest technology, we are able to impart excellent finishing and operational accuracy. We render our products in compliance with diverse needs of customers. 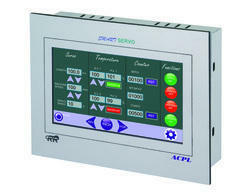 Analog out output for Main drive, unwinder/dancer drive and conveyor drive. i.e. user only need to enter bag length and number of strokes. D-type individual connectors for digital inputs, digital outputs, Analog outputs, thermocouple inputs and power supply. i.e. easy and fast wiring process possible.